I finally decided it was time to get creative, do some research, and follow through with some activities appropriate for my little Pre-Toddler (12-18 months) boy. 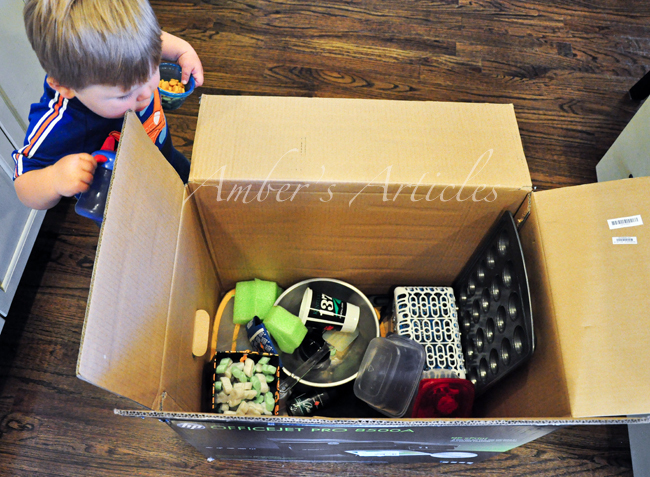 I turned the box over and B played with the objects in the box for 35-40 minutes (I actually timed it at 37 minutes). If you have a 12-15 month old you know 37 minutes of continuously playtime equals success. However, at this age you and I should be pleased if our little munchkins complete an activity for 15 minutes. 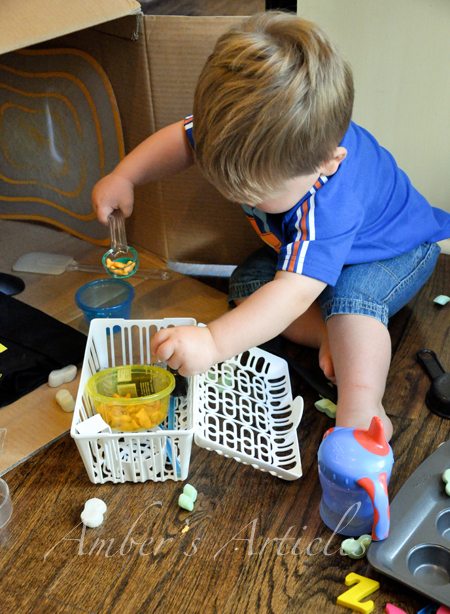 The activity box can be filled with different objects each time you complete the activity. My son had the most fun putting the peanuts in various containers, stirring them, then dumping them out. I was pleased that the activity promoted his current developmental milestones. Of course, what is an activity if it doesn't include Goldfish? I will be continuing to post Pre-Toddler activities throughout the coming weeks. 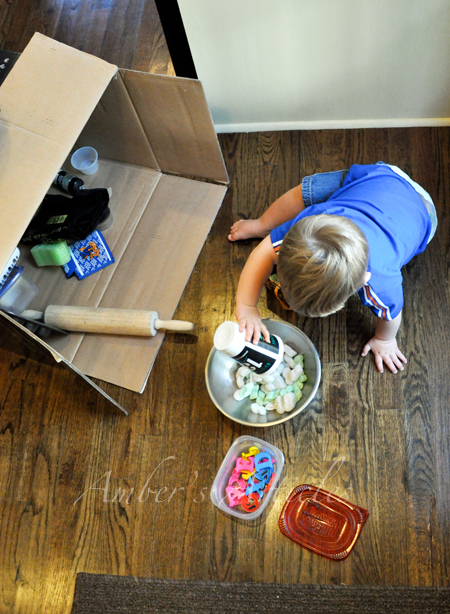 If you fill an activity box for your child I would love to see photos and to hear how they liked the activity. *Remember to keep a close watch if you decided to use small objects as I did. I sat beside B the whole time since our box included small styrofoam peanuts. Just found the blog today via Google alerts -- always looking for toddler activities for my 18 month old and her little friends (I run a home day care). This is a great idea. Glad it was such a success for you too! This is a GREAT idea! 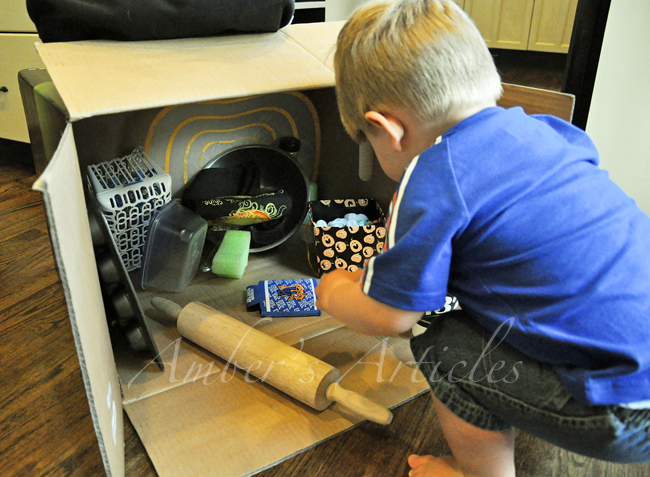 Who needs to spend hundreds on toys when you have household goods and a card board box? These kind of things always entertained Noah more than toys, too. Fun! Little Bennett looks like he had fun exploring! Emily LOVES to go through my make-up bag (with me watching her). I've cleaned out a few of my empty compacts for her to put in her real purse. She loves snapping them open and shut and looking in the mirror. I do love this idea and will definitely be using it very soon! So glad you shared this!! I'm loving this idea and series!! Can't wait to see more!! I love that you allow him to play with everyday items!! As a teacher, I know that will boost his creativity so much more than some store bought toys!! Cute ideas, Amber! 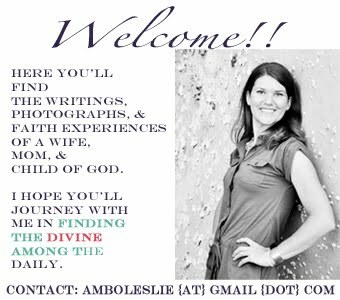 This is a website I use a lot when working with kids and families. 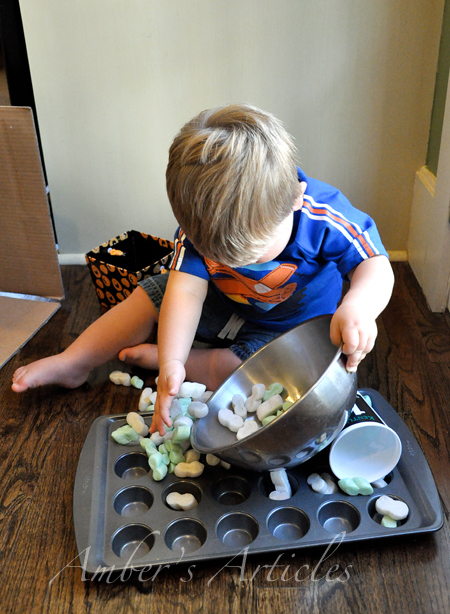 It has a lot of developmentally appropriate activities. Just thought I'd share.